In an interview with author/philosopher Ronald E. Springer, we asked questions that most of us have asked all of our lives, and received some interesting answers. First I’d like to say congratulations on a phenomenal achievement. The last place I expected to find innovation is in the study of thought itself. Thank you. What is Moral Armor? Moral Armor is a non-sectarian moral philosophy based solely on the nature of Man. 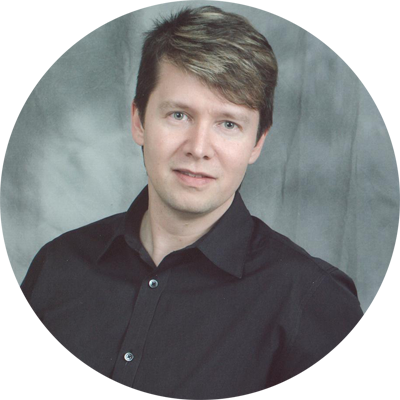 It describes the true key to morality, which is the rational process of cognition. Moral Armor is a non-sectarian philosophy, but you have to take some side. That’s true, and I side with life. History offers us two main views of moral action: to serve or defy God, or the objective standard of life and death. The first means anything goes, while the second is fully accountable to reason and is the standard to which we owe our freedom, our happiness and our very lives. Are you saying that those who put reason before blind faith have a moral and spiritual advantage? Of course. Those willing to think have a massive advantage over those unwilling in all things, foremost in morality. There is nothing spiritual about dropping your mind. So, you don’t believe in God? I’m in the same boat that many people are: I’ve encountered no evidence of a god, but this philosophy underlies such a leaning, as does the Constitution of the United States. There is a minimum civil pattern we all must adhere to, and beyond that, our beliefs are free to be as we choose. I’ve always been able to convey constructive, life-shaping ideas to those with sincere interest, of any faith. The rest are bent on fighting their own natures, caught in a neurotic spiral for which dogma is only a shield. How do you explain Moral Armor’s popularity with the Christian audience? These are educated people. They scrutinize ideas and judge for themselves what makes sense and what doesn’t; what works and what doesn’t. They know it’s an important advance. The history of western philosophy has more in common with Christianity than most would think–through our like Aristotlean foundation. I think they want the walls to come down as much as I do, and Moral Armor shows the way as it draws a deeper parallel between men than has ever existed. Earth’s order can’t be chance. How do you explain all of existence? Perhaps one day science will provide a one word explanation for all of existence, but for now its elements must be identified and measured if we wish to make sense of the world and make use of the knowledge. To claim the source as God or to indicate chance as the only remaining option is to state the two Spirit Murdering alternatives, negating judgment either way. Such a follower’s constant preference is faith or chance–unprovable causation or the causeless; but they never accept the discipline of steadily advancing research. We may not have the answer for hundreds or even thousands of years, but we will keep looking. Besides, from a “universal order” perspective, no existential happening defies the range of action capable to the entities involved–living or inorganic; so what’s the big mystery? So where do we go when we die? Back into the atmosphere, in my opinion. I’d like to think that loved ones who have passed have somewhere good to go, but I simply don’t know, and to claim there is another dimension without any proof of it, only undermines the importance of this one. You say you don’t believe in God, but you quote Jesus in Moral Armor. Isn’t that a contradiction? Jesus had an incredible mind and I respect him as a man. Given the nature of his life’s quest, I strongly empathize with how he moved through the world–how he interacted with men and with nature, how he was treated, and how he maintained his distance via cognitive separation while remaining close to others; that is difficult. He was Self-made right to the end, and if you’ve read the book, you know how deep a compliment that is. Some believers think the Bible will forgive them anything, and proceed to move through the world like the Romans did; not like Jesus. So who is their true idol? The moral state of the world is quite a mess. What do you see happening as a result? For one, the religious are not the moral majority–the productive are; and second, the world isn’t a mess. I see people more active and aware than ever before. I see irrational barriers such as race and gender crumbling. I see corrupt governments collapsing and freedom being embraced. I see more and more people setting goals and taking control of their own destinies; it is a fantastic time to be alive. The problems are a small percentage of human action–the negative two percent of human activity gets eighty percent of the news coverage–that’s not a moral flaw of the populace, but of the press. Actually, we need only clarify the rational code of morality to trigger a moral transformation for mankind. Those in violation of true moral premises will be clearly exposed and cast aside. Then you’ll see a second renaissance that will last for all time. You define people as either Self-made or Fear-driven, and then move to label them Moral Warrior and Spirit Murderer. What is a Moral Warrior? What is a Spirit Murderer? A Spirit Murderer is an individual who consistently defies the rational process of cognition, resulting in the predictable maladies of inadequacy for living, self-hatred and its social manifestation–parasitical self-sustenance, both physical and spiritual–which harms or destroys all those involved. A Moral Warrior is someone who knows the virtue of his rational cognitive process and understands the penalties of its violation. He strives to comprehend and follow all four steps, as well as standing as vanguard against those intent on defying them. He will not succumb to their fear. He knows confidence must lead, and the only confidence worth acquiring is a complete chain of independent, life-furthering knowledge. He is Self-made Man. Which one are you? At this point I am almost purely Self-made, but I’ve been both. I make mistakes; we all do. To the extent that we stick by our mistakes, we harm ourselves and others directly, or indirectly by the example we set. Gaining experience in pursuit of a fully independent life is a very challenging and exciting road, and every turn won’t necessarily be right. Integrity is shown not just in perfect action, but in the willingness to hone one’s developing course. To the extent that we live by a pattern of open, sincere growth, we protect our spirit, our self-esteem, our loved ones and our very lives. How moral are people today, in general? Much more so than they are led to believe. Most people scoff at their own worth in regard to religion’s view of Man, accepting the foregone conclusion that they are damned, when in fact, most human actions directly serve and satisfy the correct morality for Man. To the extent that a man thinks and lives independently, bringing no harm or loss to himself or others, he is moral. So what about people needs to change? To be fully independent, every man must acquire the awareness of his own moral worth based on clear, rational standards. He must come to understand his code’s natural structure and acquire the means to exercise it. He must understand the benefits of his adherence to the proper code, as well as the penalties of its violation. Then he must learn how to guard his civil, life-furthering, goal-directed pattern from the predictable, fear-driven offenders. What moral attribute of a person is most important? Developing and practicing the most consistent and efficient adherence to the pattern of thought and action which leads to life, which is 1) Perception, 2) Identification, 3) Creative Action and 4) Reward. Isn’t it most important to have a good heart? A heart is just an organ with no moral/volitional significance. It makes no decisions and feels no guilt. Though the statement’s general meaning is to be good to others, morality is not primarily social, so to those seeking moral precision in their actions, the “good heart” concept is useless. Worse than that, it subverts morality into a social definition and leads straight to human sacrifices. But shouldn’t we be willing to sacrifice ourselves for others? No. 99.9% of the time, sacrifice isn’t necessary in a free civilization. We must survive at all levels by honest personal effort, not by robbing or murdering anyone, including ourselves. Besides, I look out at the world and I don’t see enough people dangling from cliffs for me to save. By this standard, there aren’t enough tornadoes or hurricanes for everyone to get the opportunity to experience self-worth. Such a concept is senseless. By following the proper standard, we can enjoy full moral awareness for every action and every day, not just for emergencies. So does family come first? By the biological facts of your own nature, you come first. You have to. The rational value hierarchy of a Self-made Man is simple: 1) His own physical and spiritual sustenance, 2) His romantic relationship and 3) Everything and everyone else. Isn’t it most virtuous to forgive? Forgiveness is only proper when an offender’s pattern has been broken and reformed into a personal and social virtue. From an educational standpoint, one cannot begin assembling a morality in the middle of some complex concept such as forgiveness, having a good heart, or being a Christian. Morality begins much more simply, and it begins alone. Still, shouldn’t we think of others first? No. If what you’re doing can be considered thought, it happens alone and its biological intent is self-preservation, whose responsibility can never be overridden to any positive end. We’ve been brought up to seek moral guidance from religion. Religion is morality, isn’t it?God no! (pun intended). Every dogma is just a collection of stories and advice, whose general intent is to help bring order to our lives and to our coexistence. That is a sound end, but religious premises have been badly subverted. I’ve spent my life watching its followers dream of walking on water or of parting the sea, rather than practicing the rational discipline which makes great leaders. No irrational premises–no impossibilities need be contemplated for that. Even the Bible’s heroes didn’t look for loopholes to avoid effort or self-responsibility. No fundamental guilt or damnation, no mind control, no sacrificial offerings or rituals need be observed, just as no spun interpretation can shield a grafter, a coward or a fraud. Then what is morality based on? Morality is based on an organic being’s fundamental requirement–the pursuit of life. As our mind is designed to fulfill this end, its proper operation is our primary moral goal. As we are not cannibals, its civil operation is our primary social moral goal. What are your credentials? Why should we believe you? Human progress is not an issue of faith! Ultimately, new premises are to be validated through experience and introspection. 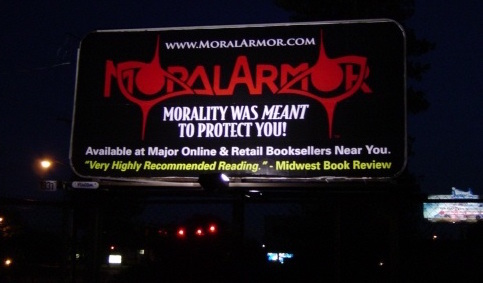 The premises of Moral Armor have been validated, time and time again. I have approximately twenty thousand hours into this work–in philosophy and psychology, and that is an ever expanding sum. It is the equivalent of about two PhD’s, in addition to the Master’s and Bachelor’s degrees I hold–all tailored to this end. So where is this leading? What do you want for the world? First, moral sovereignty for every individual on the planet. To see them gain personal fulfillment from an earned greatness, and to witness the pride they will deserve to feel. Second, to see devastatingly happy personal relationships, based on desire, joy and their true, open respect for one another. Third, to see men looking into the future, holding the proper idols before them. Fourth, to see men build or reorganize our institutions to account for the true moral basis of human beings and their relations to one another. What should we do about the poor? It is no moral obligation, but if you want to help them, then teach them the process of creating abundance; that is, if you know it yourself. How would you help alcoholics and drug-users? Teach them purpose. Teach them to value the sovereign use of their own consciousness through a means crucially valuable to them, and they will no longer wish to surrender it. How should we reform criminals? The same way. Individual purpose is the key to fulfillment for human beings. One’s understanding of a proper moral hierarchy is determined by it. Train them in a constructive pursuit they treasure, and they won’t want it taken away from them. That same respect–for others and for the property of others–will follow naturally. What is Moral Armor’s take on the War on Terror? 9/11 was a moral atrocity, and it clearly lit a fire under me to finish this book. Islamic Fundamentalism is a euphemism for criminal insanity, showing the true and ultimate end of any anti-reason creed, and Imperialism isn’t far behind. Only religion could be used to justify such a horror, and both the cause and the effect need to be blasted straight back to Hell. So you agree with America’s response? This is a moral war, which can only be won by asserting an objective moral standard. Not Christianity or Islamic faith–that’s just asking for trouble–but as John F. Kennedy said, “our most basic common link,” what we all share as human beings. It is time to set a worldwide moral standard for all governments to live up to, and with our historic break from religion, America is the pattern to follow. We must take the terrorist’s excuses away in the eyes of their own people, domestic and abroad. With a clear-cut moral standard based on reason, that can now be done. How do you morally handle violence? Shouldn’t a moral man stand down? A moral man should never stand down to aggression. Out of those who choose force and those who seek to stop its use, who deserves to live? Which one is practicing a moral pattern to be encouraged and which one isn’t? Whoever restores peace, of course. Well, this has been very informative. Thank you for spending time with us today, and good luck spreading the word! Thank you, and of course the most thorough explanation of these topics can be found in the book itself. You can read it and apply it to your life today. With clear moral awareness, you can drop all of the stress, guilt, fear and hesitation falsely imposed on us, that we never should have had to bear. Good luck to you as well. Ronald E. Springer is available for interview, public and group speaking engagements: Please use the contact form for inquiries.